Edyta Sitar brings you the GO! 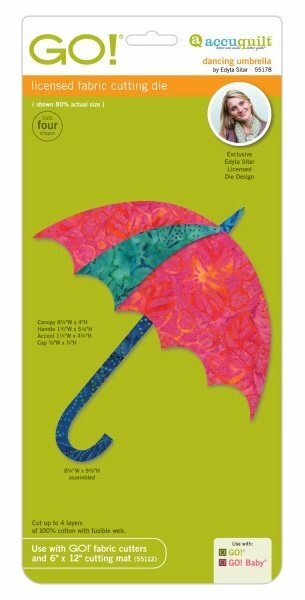 Dancing Umbrella, soon to be one of your favorite applique dies! Everything you need to cut the umbrella handle, umbrella canopies, and even the cap. This die can be used with other applique dies to tell a story or you can simply rotate the umbrellas to add dimension to your project.